Earlier this year at the PPFA Convention held in conjunction with the West Coast Art & Frame Expo in Las Vegas, I was honored to receive their highest award, the PPFA Lifetime Achievement Award. It is almost impossible to communicate to friends and colleges what a huge honor this is, especially in light of the company that I share in having previously received this award… James Adler (2002), Paul Frederick (2006), Vivian Kistler (2009), Pat & Bill Bradley (2010), Charles Saucier (2012) and Julius Schultz (2013). These folks are and were visionaries, and major contributors to the growth and professionalism of our industry. When I returned home, I shared this story with a younger friend with whom I have great respect – his initial response was, “Don’t they give those awards to Dead people?”. Of course he made me laugh, and although made in jest, sadly, several of the respected names that I listed above have already left us, despite the fact that their legacy and influences surround us today as picture framers. This entry was posted in Framer to Framer and tagged Bill Bradley, Charles Saucier, FATG, James Adler, John Ranes II, Julius Schultz, Las Vegas, Lifetime Achievement Award, Monarch Expositions, Pat Bradley, Paul Frederick, PPFA, Vivian Kistler, WCAF on 25 October, 2015 by John Ranes II, CPF, GCF. 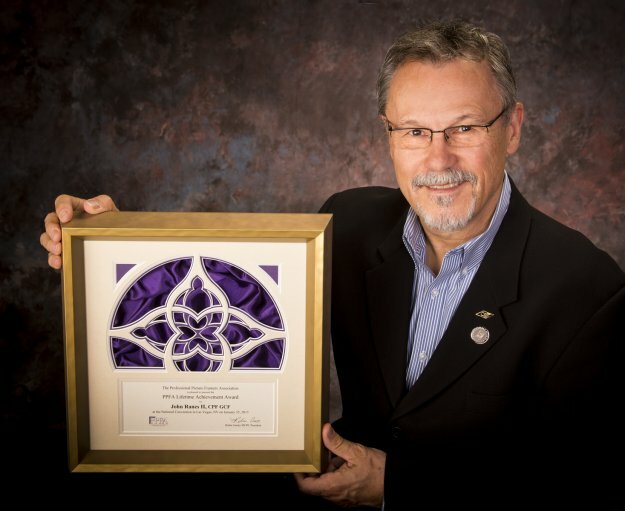 I have been involved in the picture framing industry since I opened The Frame Workshop in September of 1978 and started teaching to my fellow colleagues in 1981, but I am just now creating a personal blog that is purely about me sharing my thoughts and observations with my colleagues. And although personal I should state that it is somewhat B2B in nature as I am creating this to reach out to fellow professionals within the art and picture framing industry. Although I have had a full blown online website for our retail business since 2001, this is my first attempt at an online blog… something a little more personal to compliment my writings in the trade journals. As an educator and industry consultant, I have been very fortunate that I have had the opportunity to teach and share within the picture framing industry in many parts of the world from Perth, Australia to Istanbul, Turkey. I have presented seminars and hands-on workshops in Moscow, Russia as well as Chicago, Illinois. And it is through this diverse amount of experiences that I do know that we never stop learning. 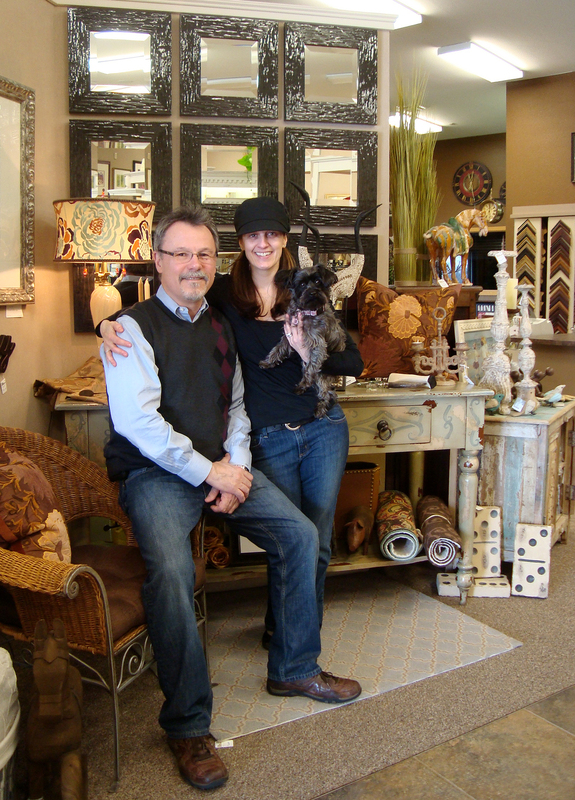 John with Sarah run a retail frame shop, gallery and gift boutique in Appleton, Wisconsin, since 1978. This entry was posted in Framer to Framer and tagged Appleton, FATG, industry educator, John Ranes, John Ranes II, PFM, Picture Framer, Picture Framing, Picture Framing Magazine, picture framing seminars, PPFA, Professional Picture Framing Association, Retail Speaks, speaker, Spring Fair, The Fine Art Trade Guild, The Frame Workshop, WCAF, WCAF Show, Wisconsin, writer on 24 June, 2014 by John Ranes II, CPF, GCF.